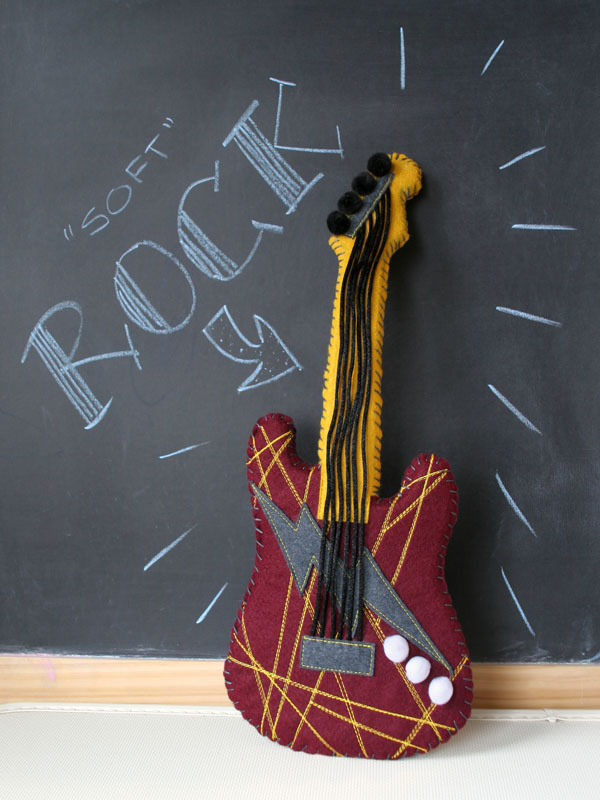 Your little guitar hero will love this rockin' toy, sized just for little ones. It's light, flexible, and fully ready to rock. Now you can bang your head without leaving a bruise. You can find instructions on how to make my "Soft" Rock Guitar toy on Craftzine.com. 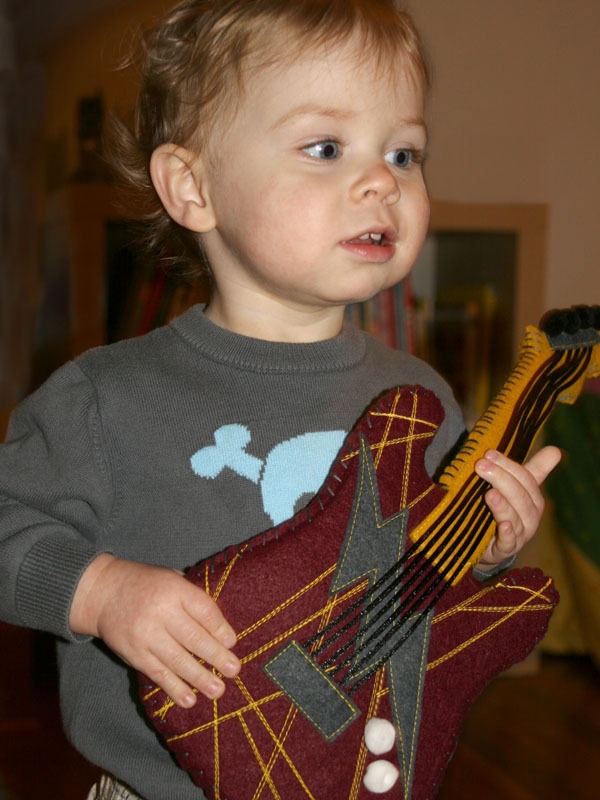 My son loves to kick out the jams! Originally I envisioned a wreath made of only recycled ornaments from thrift stores. Ultimately I knew that I didn't have the patience or skill to wire all of those delicate glass bulbs. For a mere $10 I was able to score some boxes of multi-colored glass ornaments and a simple faux fir wreath at the local thrift store. Then I used floral wire to attach the ornaments to the wreath. Don't look too closely or you'll see my mug in the balls. Still haven't found the perfect D.I.Y projects to make in time for the holidays? 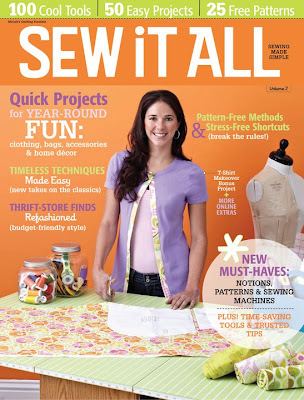 Well drop everything and run down to your local fabric store to pick up a copy of Sew It All Vol.2. 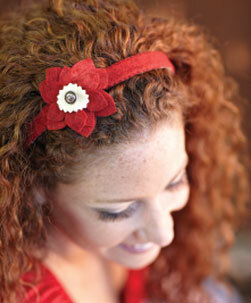 CraftyBitch is featured in 2 projects that are quick and easy. 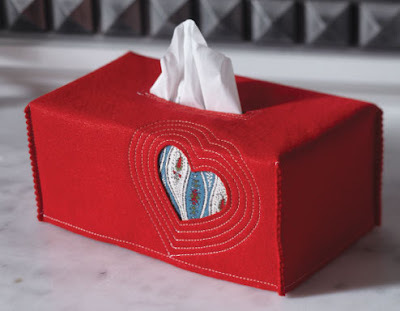 Choose from 3 different headband projects or the felt tissue box cover (including a smaller portable pouch for your purse). You can also purchase a copy online through the Quilt and Sew website by clicking here. When making last-minute holiday gifts, the trick is to be quick, yet with a personal touch. 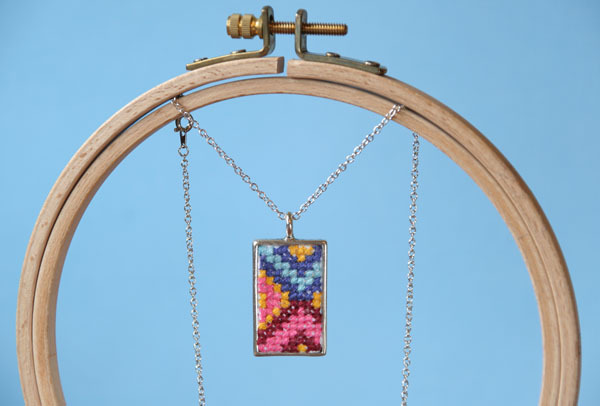 Cross-stitch is such a fun way to make a customized pendant for your crafty friends. You can read the full tutorial on Craftzine.